On Tuesday, April 12, Oklahoma Governor Mary Fallin signed SB 1148 into law and freed every Oklahoma physician from the ABMS MOC. I get chills thinking about how awesome this is and what an incredible model it is for all of us. It’s just beautiful. Wow. Even more jaw-dropping is that this landmark legislation passed through the Oklahoma house and senate unanimously. In a time when gridlock is a given, MOC is something that unites us all. The funny thing is, this law shouldn’t be revolutionary. It simply legislates exactly what ABMS says about board certification: that it is voluntary. ABMS has long claimed “board certification is a voluntary process, and one that is very different from medical licensure.” But for those of us on the ground, it’s very clear that it is NOT voluntary. We can quickly lose our jobs, our hospital privilidges, and our insurance participation if we choose not to participate in any portion of MOC. Oklahoma simply called their bluff, and now all physicians in Oklahoma are free to choose if they want to participate in ABMS MOC, if they want to certify through alternative boards like NBPAS, or if they just want to be done with the whole lot. They are free. I can’t help but see parallels between our fight as physicians against forced board certification and what my friends in the union have faced with forced union membership. The issue of free choice is similar, and the intimidating political power of those opposing choice is similar. In 2012, when Michigan was in the process of becoming the 24th Right to Work state, I was surprised to learn that many of those leading the Right to Work fight in Michigan were unionworkers, who actually liked the idea of the union. The problem was, the union had lost their way, and had no incentive to represent the workers when membership was forced. These union workers didn’t want to destroy the unions, they actually wanted a better union, one that responded to the workers. But until they had a choice, the union had no incentive to change. The issue was about individual choice. It was about the right to choose to join or not join the union, without fear of losing a job. This is exactly what we are talking about with MOC legislation. Instead of “Right to Work”, this is “Right to Care”. Our complaint isn’t against ABMS and their subspecialty boards. They can do what they want and require what they want of their diplomates. We cannot change that. Our complaint is with being forced to participate in an ever-changing process they claim is voluntary. We should be free to care for our patients, free to pursue novel clinical research, and free to choose our own continuing education. If ABMS and the subspecialty boards are providing a quality educational product at a good value, doctors should be free to participate. If doctors do not see educational value in ABMS MOC products, they should be free to pursue education elsewhere without fear of losing their jobs or ability to practice. This freedom to choose is something we gain at the state level, through legislation supported by the state medical societies. There are 19 state medical societies that have passed resolutions opposing compulsory MOC, and now the state societies are turning resolutions into state legislation. Missouri was the first brave state, with representative Keith Frederick DO initially introducing HB 671 and HB 683, currently active as HB 2304, the current bill still awaiting a hearing. Michigan State Medical Society has launched an innovative “Right 2 Care” education campaign in support of 4 bills: SB 608 and SB 609, HB 5090 and HB 5090. Among the list of sponsors of this Michigan legislation are representatives Ed Canfield DO and John Bizon MD. These bills are also waiting for a committee hearing. Last week finally brought the breakthrough we’ve been waiting for. On April 8, Kentucky governor Matt Bevin signed SB17 into law. This bill, sponsored by senator Ralph Alverado MD was the first state “MOL” legislation to be passed and signed, preempting any attempt to require board certification for a state medical license. 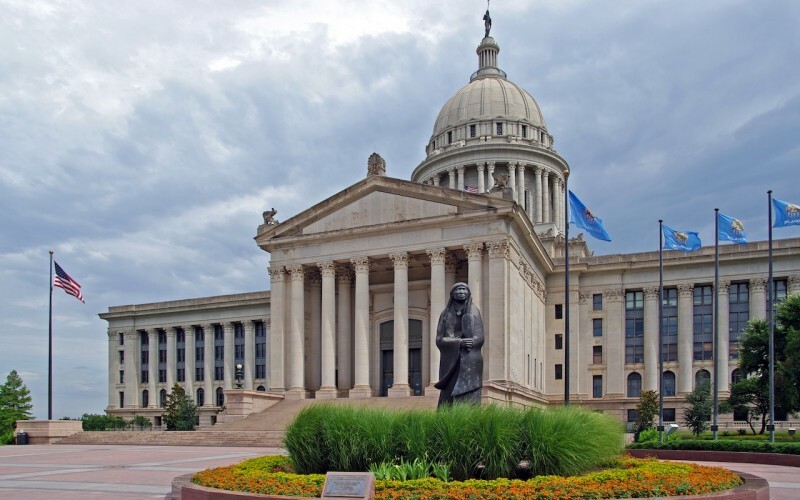 And now Oklahoma’s SB1148, sponsored by senator Brian Crain and representative Mike Ritze DO, is the nation’s first full Right to Care law preventing MOC from being required for a license, hospital privileges, insurance reimbursement, or employment. Cracks in the ABMS facade have been steadily growing, and Oklahoma just blasted through with a wrecking ball. The momentum is definitely on our side. In case you missed it, there’s one thing all these states have in common: physician legislators. Keith Frederick DO (@keithjfrederick), Ed Canfield DO, John Bizon MD (@DrJohnBizon), Ralph Alverado MD(@Alvarado4Senate) , and Mike Ritze DO are to be commended, donated to, followed, tweeted and cheered. They’ve gone into the thick of it, and unlike so many physicians who become politicians, they haven’t forgotten us. Missouri, Michigan, Kentucky, and Oklahoma have paved the way for other states to follow. They’ve already hashed out the legislative language to make it easy in other states. Oklahoma has shown the bipartisan appeal of this legislation, and that we can prevail over the powerful insurance lobby. hospital lobby and ABMS. Every doc should call their state medical societies and local lawmakers today while this news is fresh, and ask them to take up similar legislation in every state. As one physician on Sermo commented…”One small step for Oklahoma, one giant leap for physicians.” Let’s set our sites on the moon, docs. Bravo, Oklahoma! OK joins KENTUCKY in legislative action against MOC. There are now 20 state medical societies joining dozens of professional medical societies and organizations OPPOSING MOC. Bury the ABMS MOC test industry programs which harm patients, physicians, hospitals, continuing medical education, universities, and independent multidisciplinary medical research and investigation initiatives outside of the siloes of certified specialty fields. MOC’s twenty years of tyranny against US medicine and surgery, 1995-2015, must cease. Good-bye (get lost). “RIGHT TO CARE”,is a very misleading tag.Where does this leave the patient,who is the real party that should deserve-RIGHT TO CARE.I understand the concern of doctors,however,let’s keep in mind that WE HAVE A FLAWED SYSTEM,UNTIL WE DEAL WITH THE RIGHT OF PATIENTS TO REST EASY–WHEN THEY ARE SICK–THAT THEY ARE GOING TO RECEIVE THE BEST CARE FOR THEIR MEDICAL PROBLEM. THE BEST CARE INCLUDES A WELL-QUALIFIED PHYSICIAN.THE PROFESSION OF MEDICINE WILL NOT BE WELL-SERVED,IF WE FOCUS ON PROTECTING DOCTORS ONLY.THIS IS A DELICATE SUBJECT,HOWEVER WE MUST HAVE MANDATORY MINIMUM STANDARDS.I DON’T WANT TO BE TREATED BY A DOCTOR,WHOSE ACCREDITATION IS NOT FAMILIAR TO THE PROFESSION. Nothing is “voluntary” when BCBS requires it and therefore your hospital requires it. We need legislation which stipulates that BCBS cannot require this, nor can any other.